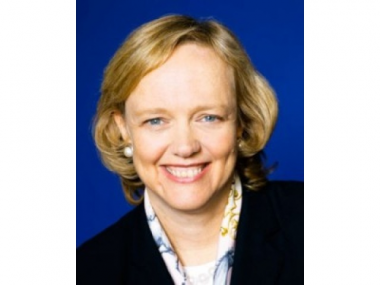 Former eBay CEO Meg Whitman is being considered by Hewlett-Packard directors as a possible candidate for CEO, in a move that would replace its current leader Léo Apotheker, according to several sources close to the situation. The appointment of Whitman — a longtime and experienced Silicon Valley exec, who joined the board of Hewlett-Packard in January — to the top job at HP is by no means a done deal, sources said. But a significant contingent on the board is keen to remove Apotheker after what some directors consider a series of management mishaps. If it occurs, it would be the second major CEO ouster in a short time — Yahoo recently fired its CEO Carol Bartz due to lackluster performance. In addition, sources said Whitman has been contemplating taking another big exec job, after a 10-year stint at eBay, which was followed by an unsuccessful run as the Republican nominee for governor of California last year. Since then, she has been a part-time consultant at top venture firm Kleiner Perkins. Her role there — which has largely been seen as a temporary one — has included acting as a strategic adviser to start-ups and evaluating investment opportunities. Sources said Whitman — who has also been active with her family foundation — has shown some interest in talking about taking the HP job. Turning to Whitman would not be a surprise, given there are few execs in tech experienced enough to run such a large and complex organization as HP. Still, her expertise has mostly been in the consumer space and she has never run what is largely a hardware company and one with major enterprise clients. So, if appointed, Whitman would need a lot of help, especially to fix one with as many troubles as HP has seen of late. That is why the board has been meeting by phone and in person this week to talk about a range of issues, focused in part on how to spin the company out of its current cycle of bad news and what to do about the situation. Its most recent spate of trouble was the announcement of layoffs of hundreds of employees in its Palm division. This inevitable move to jettison Palm employees came after HP’s sudden news in August that it was shuttering its webOS hardware business. Add to that a proposed class action lawsuit, filed Sept. 13 in the U.S. District Court for Central California, along with another handful of law firms that are launching their own investigations of HP over the move. In other words, lots to discuss for HP’s directors, who have been under siege, essentially, ever since the former CEO Mark Hurd resigned under pressure more than a year ago over a variety of allegations about expense reports related to a sexual harassment inquiry. The board found no evidence to support the sexual harassment claim. In the wake of that scandal, HP appointed Apotheker to take over for Hurd. It has been a bumpy ride, as HP’s stock has plummeted almost 43 percent in a year’s time. By comparison, rival Oracle’s shares are up more than three percent in the same period, and Apple stock has risen more than 50 percent. That share decline, given a series of major moves and just as many gaffes, has put Apotheker — who has been trying to reposition HP largely as an enterprise company — in the hot seat. An HP spokeswoman declined to comment. I have several calls in to reach Whitman and have not yet heard back. More to come, obviously. But, until there is more news, here is the video of the full interview with Apotheker at the ninth D: All Things Digital conference this summer. At D9, the former SAP chief declared that he would not ship the now-doomed TouchPad until it was perfect. Ooops!